NEW YORK | One of the biggest company stock market flotation on history is about to take place this Friday. With more than 900 million users around the world, Mark Zuckerberg’s company could be valued at $104 billion, that is more than Disney, Ford and Kraft Foods. The excitement grew as Zuckerberg announced that it would offer more shares to investors: 421 million, 25 percent more than it had previously planned to offer. 1. Is it overrated? Facebook’s revenue grew from $777 million in 2009 to $3.7 billion last year. And in the first quarter of 2012 it was more than $1 billion. Among Zuckerberg’s peers (under 35 adults), 59 percent say Facebook is a good bet, according to a recent poll conducted by CNBC and Associated Press. However, stock market veterans say it’s overvalued. Warren Buffett affirmed some days ago that he would not invest in Facebook. Will Facebook be the next MySpace, the next Apple, or none of them? 2. Do ads really pay off? General Motors plans to stop advertising with Facebook after deciding that paid ads on the site have little impact on consumers’ car purchases, the company said. According to the mentioned poll, almost 6 out of ten Facebook users admit that they never click on the ads, which are the company’s main source of revenue. 3. Will its reputation be hurt? After facing some controversy regarding privacy issues, the company’s reputation was shaken earlier this week because of co-founder Eduardo Saverin, who is dropping his U.S. citizenship to avoid paying taxes on the upcoming IPO. Saverin, who is 30 years old, will save at least $67 million in federal income taxes from a Facebook stake worth as much as $2.89 billion. 4. Will they get to make money with phones? Nearly half of Facebook’s daily users employ their smartphones, but the company has not figured out how to make money out of mobile. Advertising for that platform is still in its early stages. 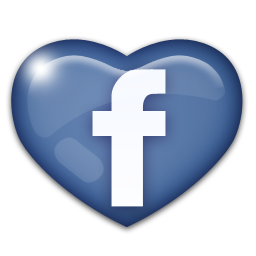 Be the first to comment on "Five things to consider about the Facebook frenzy"